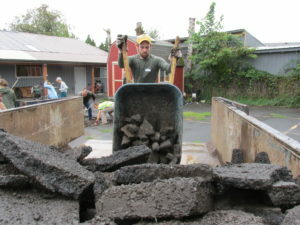 To promote sustainability, Johnson Creek Watershed Council is working with Depave in order to reduce the amount of impervious pavement within our basin with green infrastructure. Our partnership hopes to engage communities in environmental conservation by protecting public health within the watershed. Large parking lots carry oil, anti-freeze, and toxins that feed directly into local streams through storm drains after heavy rainfall. In order to reduce pollution from stormwater runoff, surfaces such as asphalt and concrete can be reduced in size. These surfaces are harmful because they are impervious: they do not allow water to soak into the ground, so it flows off of them and carries pollutants into the stream. 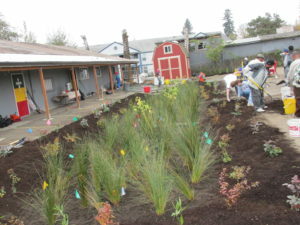 Installation of green infrastructure such bioswales and rain gardens can improve Johnson Creek’s water quality, reduce toxic runoff, and alleviate the negative impacts of stormwater on local businesses. Stormwater management is a cost-effective method of managing the effects of wet weather on flooding and water quality within developed areas. 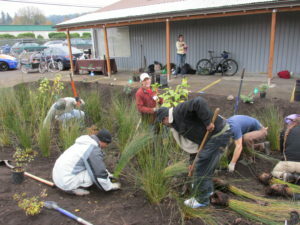 In order to promote sustainable practices, the Johnson Creek Watershed Council is partnering with local businesses, churches, and schools to fund green infrastructure projects within the community. If your business, school, or church is interested in investing in its own green infrastructure project, the Johnson Creek Watershed Council can help. As your project partner, we may be able to contribute a portion of the project funding, assist with project permitting as needed, and facilitate communication with engineers and contractors. Additionally, we can help with publicity surrounding the project, promoting your positive stormwater efforts through our newsletter, e-Bulletin, and website. A strong example of such a partnership was a project at the St. Mary Ethiopian Church, located in Lents neighborhood just off of 92nd. The church used to struggle with flooding throughout the winter due to heavy rain. 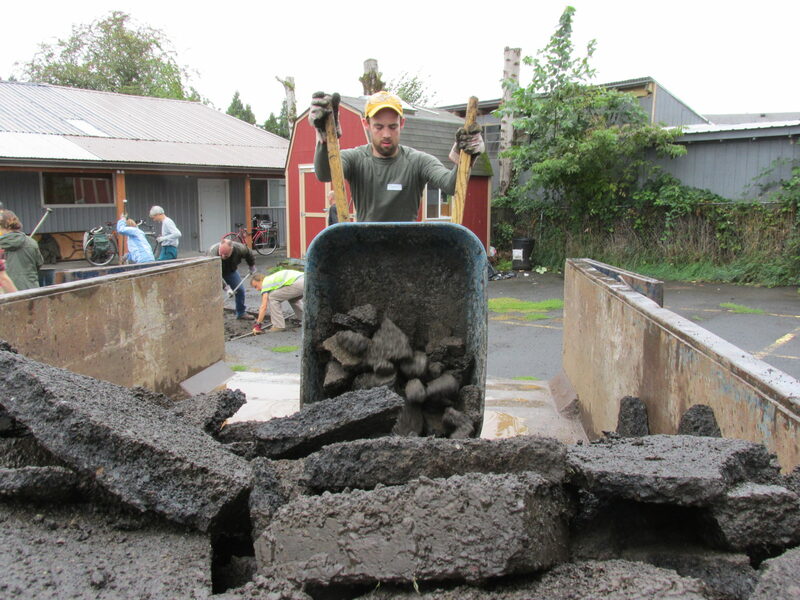 In 2013, the Johnson Creek Watershed Council worked with Depave to mitigate the problem and remove 2,400 square feet of concrete. Through this collaboration, flooding effects were reduced. Video synopsis of the St. Mary Church stormwater project, provided by Depave. Depending on your location, stormwater regulations and opportunities vary. Before you start your project, contact your local jurisdictions–we recommend starting with your Soil and Water Conservation District. 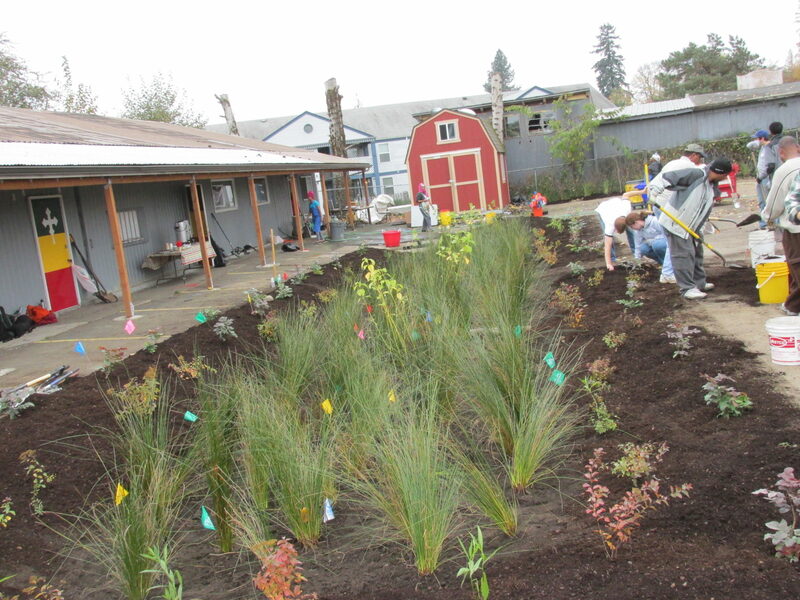 Below are helpful links relating to stormwater management. If you have any questions regarding stormwater, feel free to contact us in the box below. 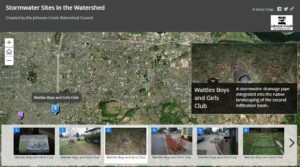 Click the image for a visual tour of a few stormwater sites in the watershed! If you have questions about our stormwater program, please send an email to Chuck Lobdell, Restoration Project Manager: [email protected].